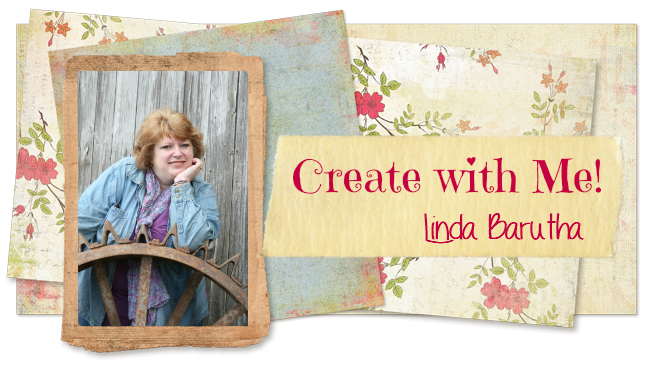 Welcome to the Linnie Blooms Blog. I'm Karen and today I am sharing a Altered Clip Board. I wanted to create something beyond my usual paper crafting and thanks to a conversation with my sister, Janet, the embellished clip board was born. She needed a quick thank you gift for her breast feeding consultant who helped her with her newborn. The finished clip board is pretty and feminine, as well as, a useful and practical gift. 1. Paint the canvas bookmark with watercolor paints stopping just at the edge of the stitching. Then iron the bookmark between two sheets of copy paper to speed up the drying time and help it to lay flat. Apply a thin layer of glitter glue over the paint to give it a subtle twinkle. When dry, paint the wooden embellishment and adhere it to the canvas bookmark. 2. To assemble a fabric Yo Y, cut a circle of fabric 4 inch in diameter. Hand sew a row of basting stitches along the edge of the circle. Next, tighten the thread to gather the fabric forming a little pouch and flatten. Secure stitches by knotting off and clipping the threads. 3. Attach a ribbon rose to the center of the Yo Yo. Lastly, cut four 3 inch circles of tulle fabric. Fold each circle in half twice and baste them together to form a layered circle. Glue the folded tulle layers under the Yo Yo flower to give it more texture and dimension. 4. Next, attach the canvas bookmark along the top metal clip and embellish with a ribbon bow. Finally, glue the finished flower to the top of the clipboard. If desired, use a piece of jute or twine 18 inches long to secure a pen to the clipboard. How cute and so practical!